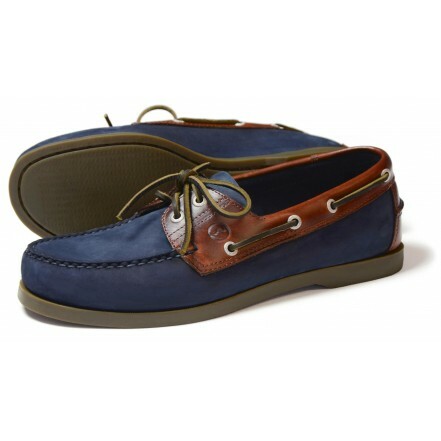 The Orca Bay Oakland Deck Shoe is a classic leather docksider with a non-slip, non-marking, razor-cut patterned sole. They have a shock absobing heel cup for extra comfort and are double and hand stitched for a superb quality of finish. Fitted with rawhide laces and with a two-eylet design. • Razor-cut patterned sole for maximum grip on wet surfaces. • Shock absobing heel cup for extra comfort. • Moccasin construction that will mould to your foot.